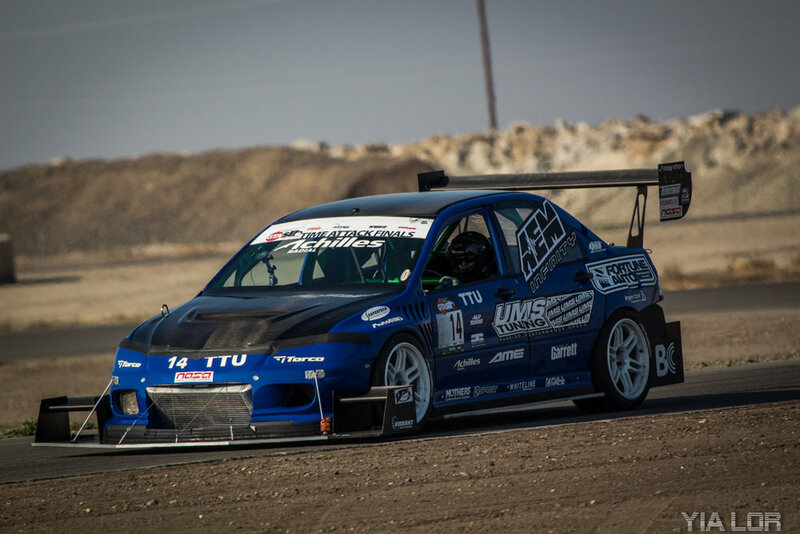 Motorsports — UMS Tuning Inc.
Tony Szirka and UMS Tuning has been heavily involved motorsports with Global Time Attack, Super Lap Battle USA, NASA, and our own UMS Tuning Time Attack Series. We compete, support or host many events around the state and country. We have won regional and national NASA championships, GTA pro and Pro-Am Championships, UMSTA championships as well as several Super Lap Battle wins. The shop EVO features a 750WHP 4G64 that showcases all of our partners excellent products. AEM, Fortune Auto, Garrett, BrianCrower, Stoptech, Turbosmart, Injector Dynamics, AME, Full Race, Centerforce, Supertech and xShift just to name a few. Our partners make the car more than the sum of it’s parts with their amazing support and product development. Paul just recently resurrected the “S2Million” of former AFI Turbo/Kenney Enterprises Redline Time Attack fame. He has been working hard to bring the car back to its former glory and consistent Unlimited RWD Podiums. His car features a 650WHP F22C utilizing a host of AEM, injector Dynamics, Turbosmart goodies, a NASCAR 4speed dog box and a ford 8.8” differential, Willwood brakes and JRZ coilovers.